Guardant Health, the developer of genomic liquid biopsy tests focused on detecting cancer, will seek to raise up to $100 million in gross proceeds through an initial public offering (IPO), according to an S-1 registration statement filed yesterday with the U.S. Securities and Exchange Commission. Guardant didn’t spell out how much it would set aside toward any of several general purposes outlined in the S-1 filing, nor did it say how many shares it intends to share, or furnish a price or price range for those shares. “We intend to use the net proceeds from this offering general corporate purposes, including working capital, sales and marketing activities, general and administrative matters and capital expenditures,” Guardant Health stated. JP Morgan and BofA Merrill Lynch will serve as lead underwriters for the IPO, with Cowen, Leerink Partners, and William Blair serving as co-managers. Guardant markets two tests: Guardant360, designed to measures 73 cancer-related genes from circulating tumor DNA, or ctDNA; and GuardantOMNI, a broader panel measuring 500 genes from ctDNA that was launched last year. Guardant360 has been used over 70,000 times by oncologists to help inform them on effective therapy for advanced stage cancer patients with solid tumors, according to Guardant. Guardant360 is also used by biopharmas for purposes that include translational science research, identifying target patient populations to accelerate clinical trial enrollment, drug development, and commercialization post-drug approval. Launched in 2014, Guardant360 has been used by more than 5,000 oncologists, over 40 biopharmaceutical companies and all 27 National Comprehensive Cancer Network (NCCN) Centers, the company disclosed. Guardant360 has been approved by the New York State Department of Health. And just yesterday, Guardant announced that Guardant360 met its primary endpoint in the SLLIP (Spanish Lung Liquid versus Invasive biopsy Program) trial by showing that it detected genomic alterations that affect treatment selection in first-line, advanced NSCLC at a similar rate to standard-of-care tissue testing. Results are set to be presented later this month at the 19th World Conference on Lung Cancer (WCLC), set for September 23-26 in Toronto. “While FDA approval is currently not required to market our tests in the United States, we intend to submit a PMA application for Guardant360,” Guardant stated, noting that the test received the FDA’s Breakthrough Device designation in January 2018. GuardantOMNI was specifically designed for biopharmas as a comprehensive genomic profiling tool to help accelerate clinical development programs for both immuno-oncology and targeted therapy. In addition, Guardant oversees programs designed to develop tests for recurrence and early detection of cancer, named LUNAR-1 and LUNAR-2, respectively. LUNAR-1 applies data and learnings from Guardant360 and GuardantOMNI, with the goal of developing tests that enable clinicians to detect recurrence at a stage when intervention may have a higher chance to cure the disease. LUNAR-1 is expected to launch for research use by biopharmas this year. LUNAR-2, which remains in development, is designed to develop tests for the early detection of cancer in higher-risk individuals. Guardant said it is initially developing tests for asymptomatic individuals at a higher risk of developing cancer due to multiple factors, including moderate to heavy smoking, hereditary risk and pre-existing infections or inflammatory conditions. “Our objective is to be the leading provider of precision oncology products for cancer management across all stages of the disease and to drive adoption of our products,” Guardant stated. To that end, Guardant said it intends to increase awareness of its products, expand clinical utility and increase reimbursement for its products, strengthen its relationships with biopharmas and academic customers, and use its Guardant Health Oncology Platform to expand its product portfolio. “We estimate the market opportunity for our current commercial and pipeline products is over $35 billion in the United States, comprising applications for clinicians and biopharmaceutical customers to address early to late-stage disease,” Guardant projected. During the first half of this year, Guardant disclosed, it recorded a net loss of $35.5 million on revenue of $36.1 million. The net loss dipped year-over-year from the $39.6 million net loss on revenue of $18.7 million generated during January-June 2017. Guardant finished last year with a net loss of $83.2 million on revenue of $49.8 million, compared with a net loss of $46.1 million on revenue of $25.2 million in 2016. The company has an accumulated deficit of $231.2 million. Revenue from Guardant’s top five biopharmaceutical customers accounted for 34% of the company’s total revenue in the first six months of this year—up from 29.7% last year and 19.4% in 2016. 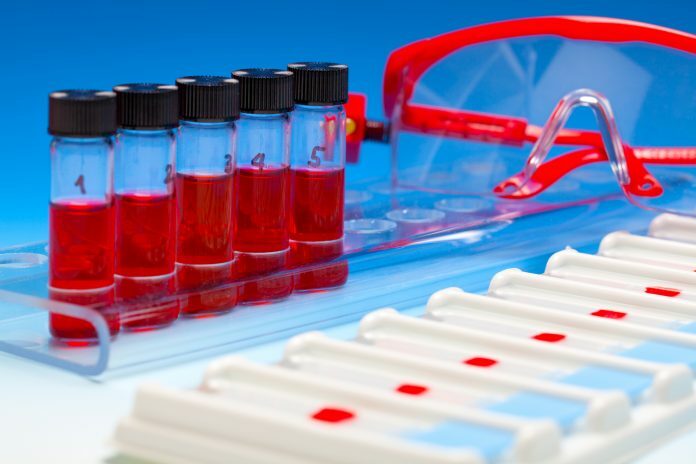 Last year, Guardant placed second-highest on Clinical OMICs’ list of 10 Liquid Biopsy Companies in the Money, ranked by the total capital raised by 10 privately-held diagnostics developers primarily focused on liquid biopsy tests.